Illegal dumping is a problem that continues to plague Kansas City, which is why the city launched a new hotline in mid-July. KANSAS CITY, Mo. 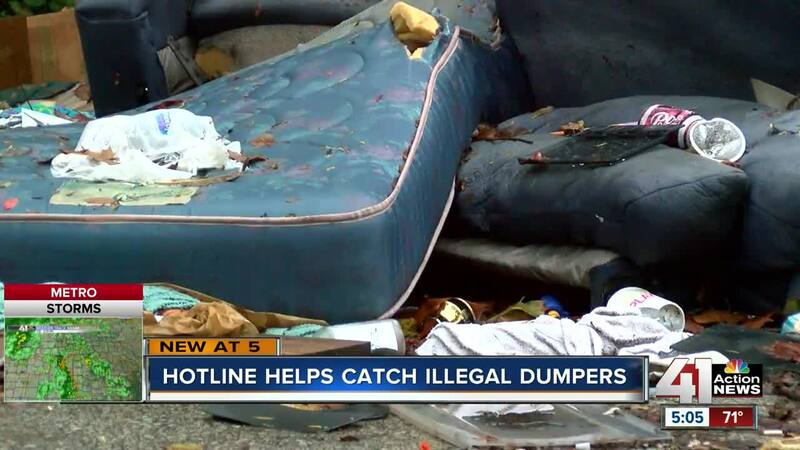 — Illegal dumping is a problem that continues to plague Kansas City, which is why the city launched a new hotline in mid-July. 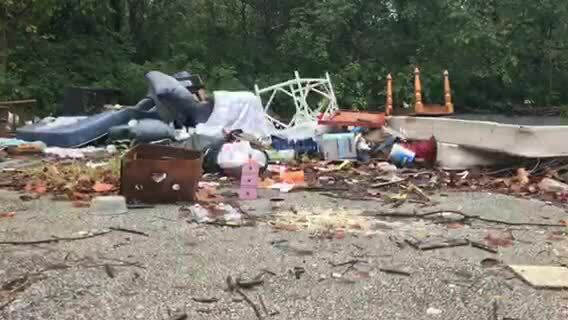 While citizens can make complaints about illegal dumping through 311, the whole point of 816-513-DUMP is to catch people in the act of leaving their trash behind. "You know it's one thing if we need to go out and investigate and do that through 311, but the purpose of this is, 'I saw someone dump and this is their license plate,'" said Alan Ashurst, illegal dumping investigator for the city. Since the hotline opened up, the number has been called several hundred times. According to Ashurst, through those calls, the city identified 33 solid leads and issued nine summonses. "Whether we actually get to issue a summons or not, we get to have very important conversations with people who are dumping, and if we can stop that behavior without taking them to court and charging them a thousand or so dollars, that's a job well done," Ashurst said. Those conversations include educating residents about their options for trash, such as the city's free bulky item pickup. Appointments can be scheduled online or by calling 816-513-1313. Although KCMO Neighborhoods & Housing Services is encouraged by the early number of calls to the hotline, the city is hoping to increase the volume to catch more dumpers.